Currently we provide breeding, training and sale of select horses. 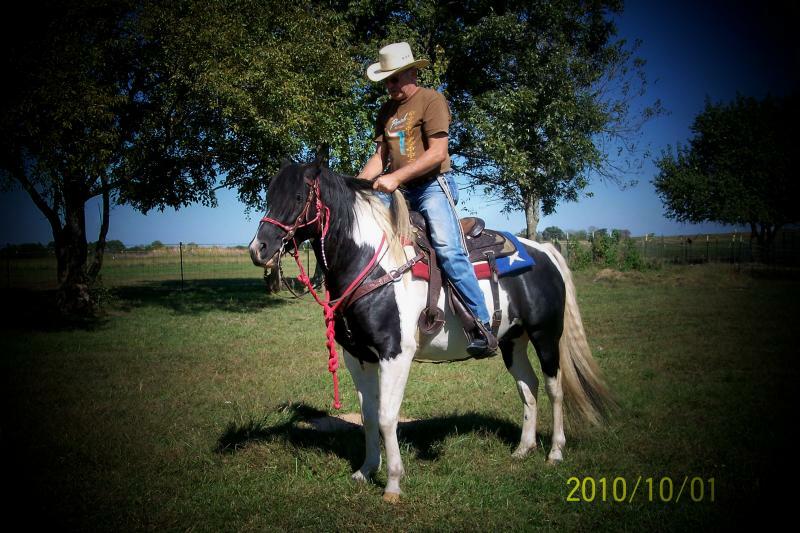 Our stallion Bullseye is standing here at the Velvet Foxtrotters.. 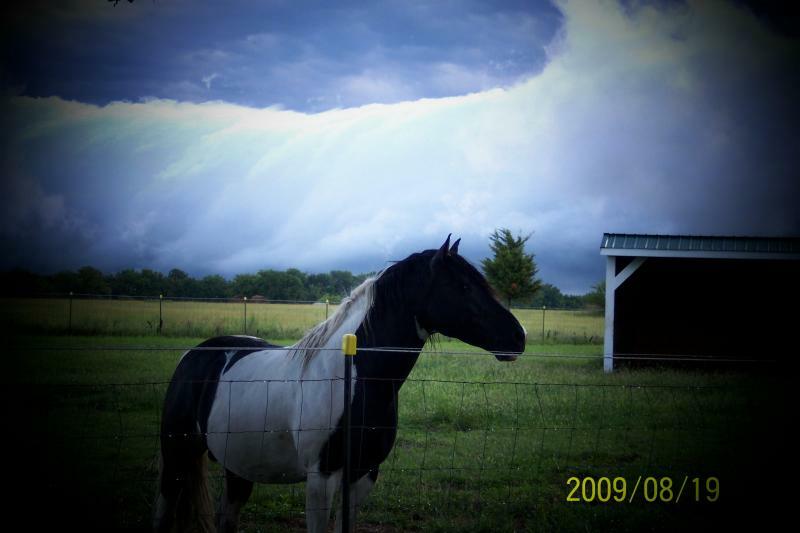 He is BLOODTYPED and DNA TESTED through the university of Kentucky ..
Stud fee by private treaty to a limited number of approved mares. 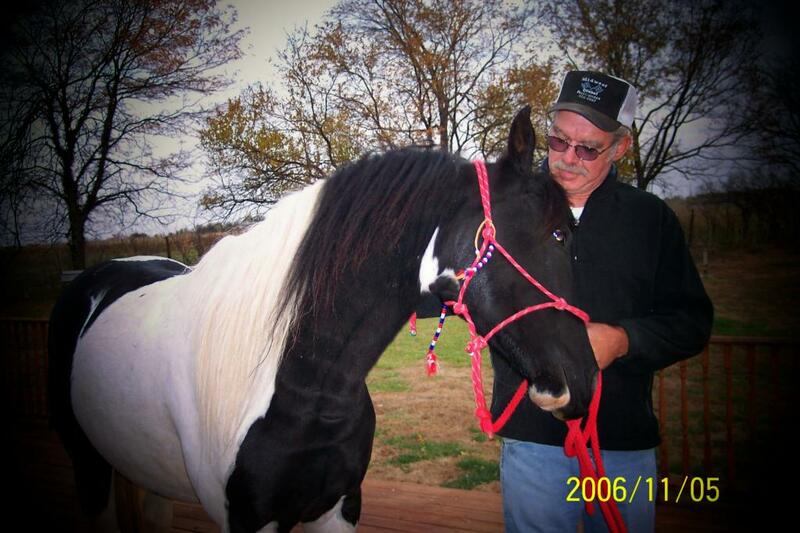 Bullseye, a 2003 Black/White Stallion with an unbelieveable disposistion, a great babysitter and trainer of colts. 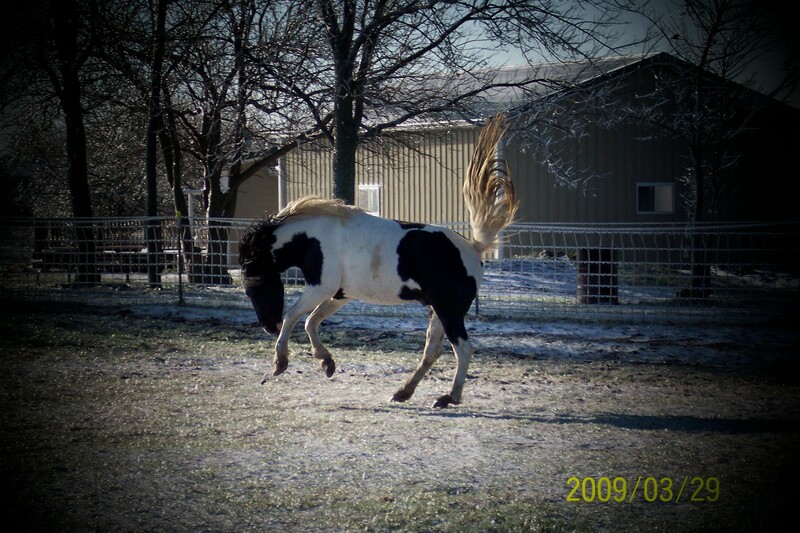 "Who said stallions can't run with the foals". Yes he owns a stud chain but never use it, with this guy a piece of bailing twine works just as well. Put your horse away wet, hungry, tired, thirsty and without a friendly peaceful moment of tenderness, your reputation shall surely precede you, that your arrival at Rainbow Bridge shall be most unpleasant for eternity. You can tell a gelding, you can ask a mare, but you must discuss it with a stallion. 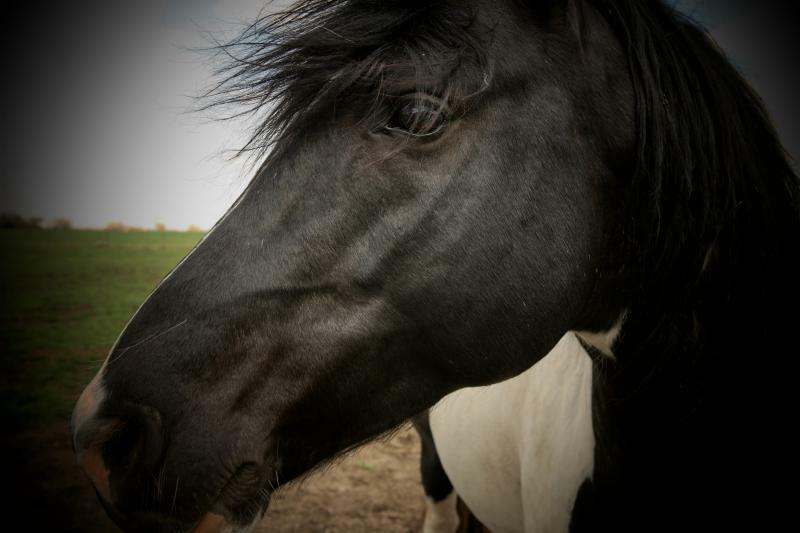 "Trust no man in whose eye you do not see yourself reflected as an equal"
"When a horse greets you with a nicker and regards you with a large and liquid eye, the question of where you want to be has been answered."